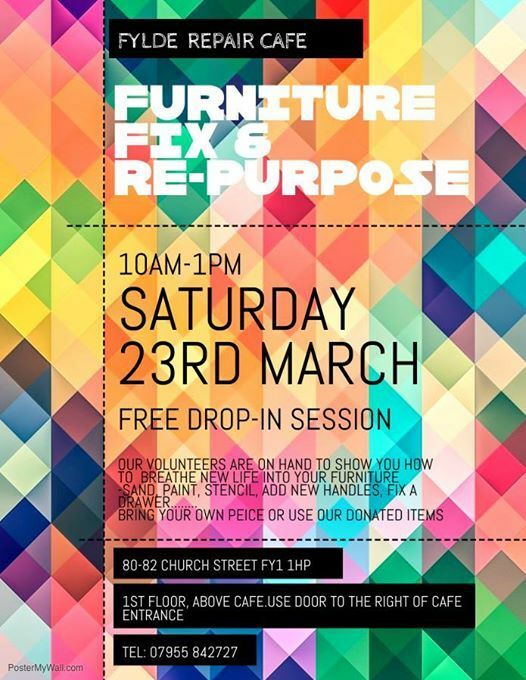 This free family friendly drop-in session will show you how to breathe new life into old furniture. We will show you how to prep the surface, sanding or prime, painting or stencilling, vinyl covering, paint effects. 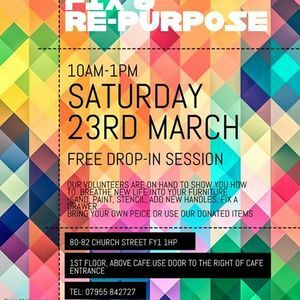 Change the handles, add new feet- our trusted volunteers will guide you through the techniques and ideas or maybe you need to fix a drawer, stool leg, chair just bring it along and we can help you fix it and pass on a skill to you. Kids can have a go too! Bring along your small item of furniture or use our peices of wood to practice the techniques. 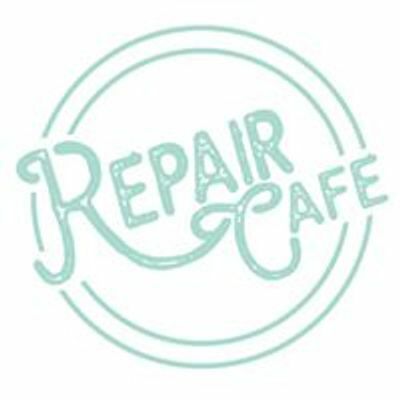 We will provide paint, tools and other bit’s & bobs that will help you complete your project but do bring along anything you would like to use. Join us for a brew & biscuit ☕️? and join the re-cycle re-use, re-purpose community!